That was the poignant appeal found in the last line of the obituary for University of Mississippi senior John Fenton Kottkamp. His dad, Stephen Kottkamp of Louisville, Kentucky, added the request because he said his son had a "huge heart with great love for his family and friends." Fenton also developed tremendous love and enthusiasm for the University of Mississippi -- affectionately called Ole Miss -- the Patterson School of Accountancy and the Oxford-University community. Fenton passed away following an accident February 25, 2015. Born in Louisville on September 29, 1992, he would have marked his 23rd birthday this month. 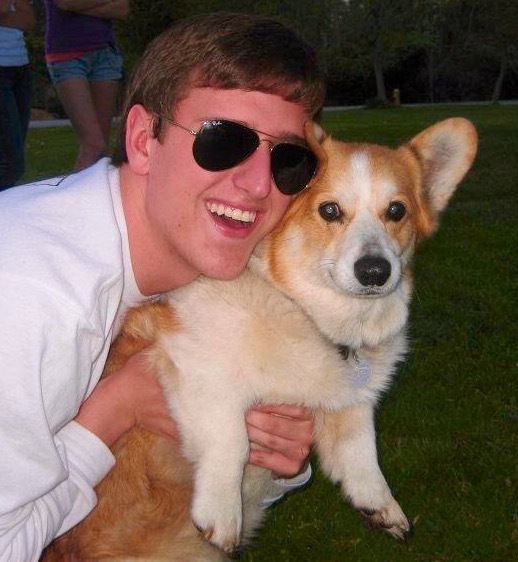 The outgoing, welcoming, funny, kind, adventuresome and loving young man was a graduate of Anchorage Public School and DuPont Manual High School and a member of St. Francis in the Fields Episcopal Church in Louisville. 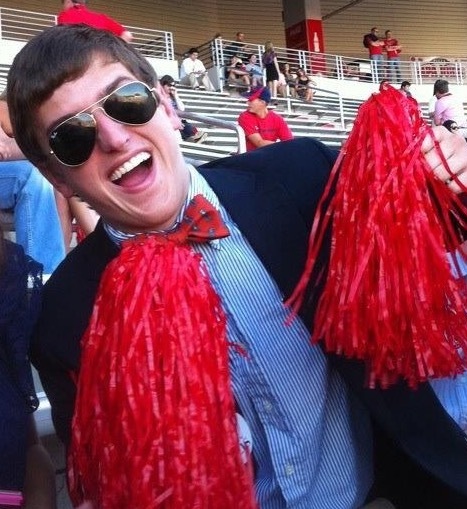 Additionally, Fenton was a member of Phi Kappa Psi fraternity and was an avid, avid Ole Miss Rebel and Louisville Cardinal fan. Fenton was poised to graduate from Ole Miss this past May and would have begun pursuing a master's degree in accountancy. During commencement exercises Mark Wilder, dean of the Patterson School of Accountancy, presented his Ole Miss diploma to Jane and Stephen Kottkamp. It was a touching moment for the family and for Fenton’s classmates. 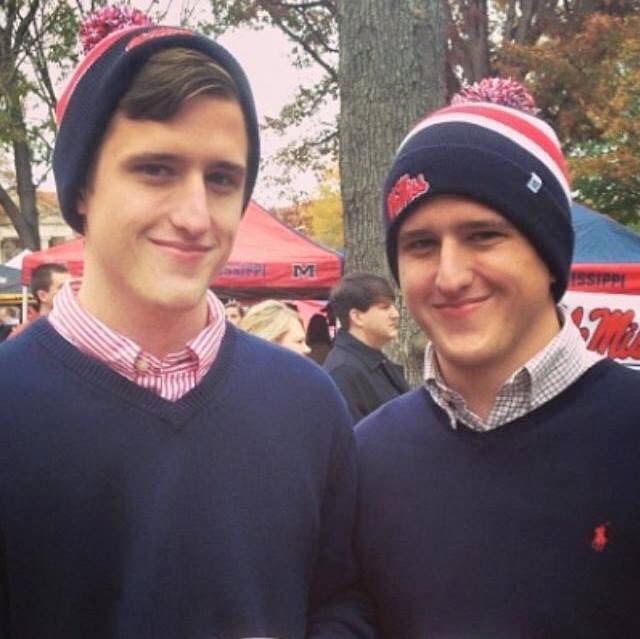 Their dad said, “Ole Miss became our happy place. 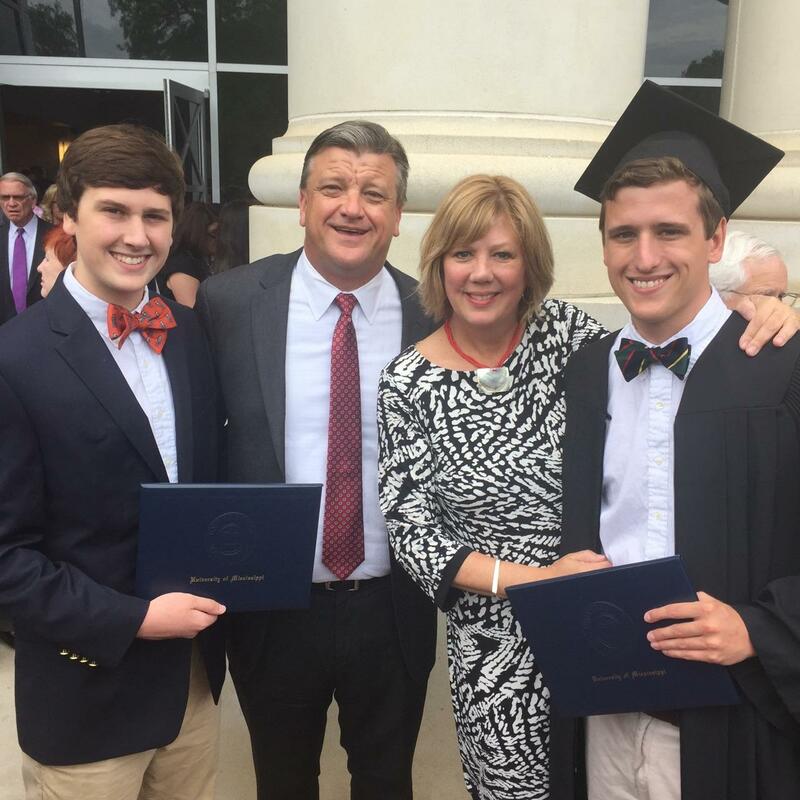 As Rush said to Jane on the way home from Fenton’s visitation, ‘Fenton and I caught lightning in a bottle when we chose Ole Miss.’ Fenton and Rush hit their stride in the Ole Miss environment; they blossomed and excelled. 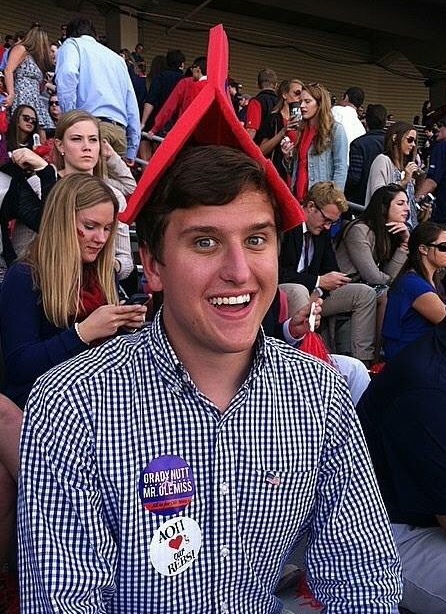 Our family will strive to make Ole Miss our happy place again.” Younger brother Harrison has now made Ole Miss his college home, also. Kottkamps' friends John and Annette Schnatter -- CEO and founder of Papa John’s -- teamed up with Archie and Olivia Manning -- Ole Miss alumni and the "First Family of Football" -- to create a scholarship endowment to pay tribute to Fenton's life. The Fenton Kottkamp Memorial Scholarship will benefit accountancy and business students. “Working with Ole Miss alumnus Archie Manning to create the Fenton Kottkamp Memorial Scholarship Endowment was a way for my family and other donors to honor Fenton’s memory and highlight for the Kottkamp family how much affection and respect we hold for their son," John Schnatter said. Both Fenton and Rush had interned with Papa John's. Hotty Toddy! We Love You, Fenton! Fenton is greatly missed by everyone that knew him, but the Ole Miss Family will continue to celebrate his wonderful spirit. His family members agree that he would have been pleased to have his name on a scholarship, enabling his name to be forever linked with the university he loved. 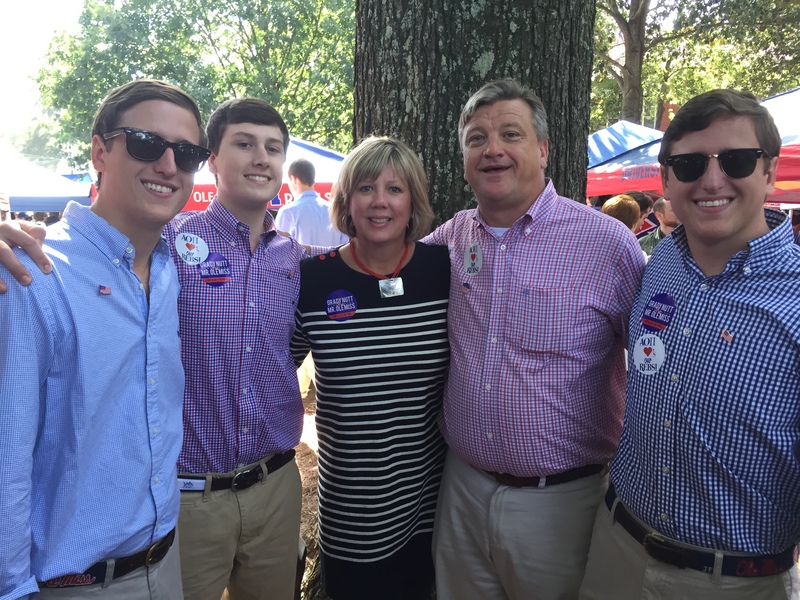 His mom, Jane Kottkamp, said Fenton's deep enjoyment of the University community stemmed from the fact that he was all about family and so is Ole Miss. "Ole Miss is the place where you develop lifelong friends – not just the students but also among parents of students. We hope Fenton’s scholarship will make it possible for other young people to go to Ole Miss and also for them to be a part of this great tradition of developing great lasting friendships,” she said. Fenton will always be a beloved member of the Ole Miss family and we ask that you please help us in building his scholarship. Our goal is to raise $60,580 --- a dollar for every seat in Vaught-Hemingway Stadium. You can also become an ambassador of Fenton's campaign by sharing this page via email and on social media! Be on the lookout for #LoveFenton stickers in the Grove. Friends can use their mobile devices to scan the QR Code on your sticker and it will open this page so they can donate. 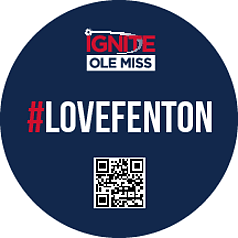 Hotty Toddy and #LoveFenton! Fenton would have celebrated his 23rd birthday on September 29. Happy birthday, Fenton, your wonderful smile, engaging personality and love for others lives on. Fenton was active in Phi Kappa Psi, a fraternity founded in 1852 -- just four years after the University of Mississippi opened its doors to great students like Fenton. Fenton’s beloved dog Biggs is now 98 in dog years. They say that dog is man's best friend, and we're pretty sure Fenton was Biggs' best buddy. The Ole Miss Football Team scored 368 points during Fenton’s senior year! We can't be certain, but among our devoted fans, Fenton seemed to cheer the loudest! Olivia and Archie Manning, beloved Ole Miss alumni, helped fund the initial scholarship endowment. Like most of us, Fenton was a huge fan of Archie's! 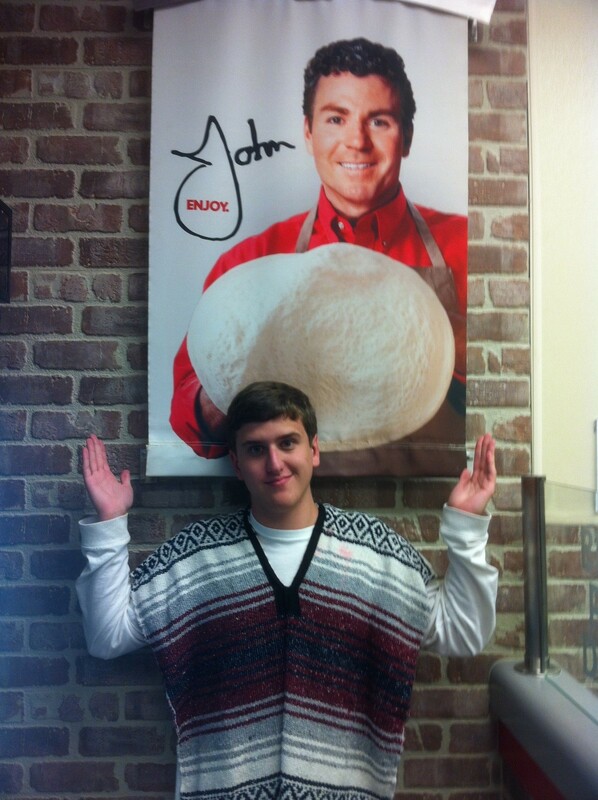 Fenton spent two summers interning at Papa John’s. Kottkamp family friends Annette and John Schnatter -- president/CEO of Papa John's -- established the initial scholarship endowment.